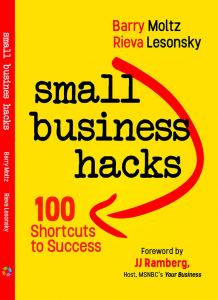 Stuck in a Small Business Marketing Communications Rut? You’ve reviewed and audited your marketing communications strategy process and don’t see what could be holding your business back. Yet, you recognize the dots aren’t connecting and customer interest and conversion rates are at a near halt. Perhaps your content isn’t effectively resonating, or you’re winging social media without proper training. Maybe you’re not reaching your customers where you think they are, or maybe a market shift is happening you aren’t privy to, or a competitor has entered the market that has a stronger presence than you. Or maybe you’ve haphazardly pulled together a plan that isn’t truly strategic. Whatever the case may be, being stuck in a marketing communications rut is more common than you think. You’re not alone. So, you ask: What do I do now? When was the last time you took a deep-dive into your existing marketing communications plan? Small business owners often find themselves complacent and comfortable once a strategy is in place and executed. Whether it’s because you’re bogged down with day-to-day tasks or managing marketing at a minimum with the time you do have, a ‘once and done’ or ‘build it, they will come’ mentality isn’t and never will be effective. If your growth is at a stand-still, look into your marketing metrics, such as Google Analytics to track web trends, page visits, and where your leads are coming from to test the effectiveness of your campaigns. For email campaigns, conduct A/B testing or a take new approach to drive a call to action such as enhancing your subject lines or incorporating a promotion. For social platforms, scout online reviews, competition and what is being said about your company; evaluate your engagement activity with followers as well as their engagement activity with others about your business. For PR, media interest, message sentiment and coverage placement are good to assess. It’s important to know your audience, and how they prefer to be engaged. If you feel you’ve been tried and true, you may be executing or measuring wrong, need to redefine your market segment or tap into your competitive landscape to better understand where your audience is gravitating towards. Take the opportunity to keep identifying what needs to change in order to keep improving to get those profits up. Most businesses are established to fill an unmet need in the marketplace. Value propositions are especially vital for small businesses when it comes to PR and marketing communications to maximize media exposure, and gain market influencer buy-in…not to mention customers. When you revisit your market messages, ask yourself: Is my business communicating what my target customer needs in a way that resonates to them to want to buy? Does my message answer ‘what’s in it for them?’. There’s a lot of clutter and ‘me too’ companies out there—composing value propositions as part of your overall messaging and positioning documentation that differentiates you from the rest, is a must. Content strategy is a critical element that plays a huge role when speaking to your audience that aids in establishing thought-leadership, your brand’s credibility and organic traffic you need. Already knowing who your buyer personas (customers) are, it’s important to make sure your content is not only tailored, relevant and compelling, but also demonstrates value by talking to specific needs, behaviors, and challenges of your identified customers. SEO (search engine optimization) brings value as well by incorporating keywords in your content that customers are searching for. For example, if you write a blog post that talks about nothing but how great your business is—there’s a good chance your prospects (and even existing customers) won’t stick around to read it. It’s ideal to make sure they are walking away with something learned that entices them to want to learn even more by calling you. A good rule of thumb is to put yourself in their shoes and understand what would entice you to want to buy from you? Content (blogs, contributed articles, videos, email, webinars, etc.) and content frequency should always be analyzed on an ongoing basis to make sure your resonating with your audiences and how often. Analytics, as discussed above, is key. For instance, if you have a visual product that caters to an audience who is active and the outdoors type—analytics should tell you which type of content, and from where (i.e., Instagram, YouTube) is gaining more traction and call to action over time. This activity should tell you where to focus your efforts more. In the end, it’s a good rule of thumb to always engage, refine, repeat and have patience. Dana Marruffo (dana@buzzpublicrelations.net) is owner of Buzz Public Relations, LLC, a PR/Communications consulting and strategy services company that helps small businesses and individual proprietors effectively market, communicate and engage with customers for business growth.